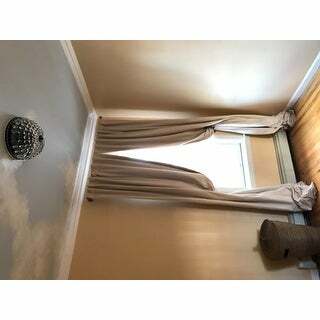 These velvet blackout curtain panels are a good quality and very heavy. The only thing I didn't love was the shade of ivory. They are not a true ivory. 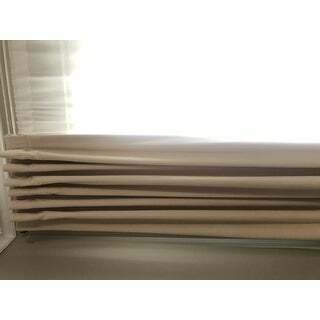 Featuring a lustrous ivory color and a simple design, this elegant curtain panel complements any decor with refined sophistication. The soft, velvety fabric features polyester blackout lining to block harsh light and provide privacy. The thick fabric and blackout lining help insulate your home to reduce utility costs and help the environment. I thought I might be taking a gamble on these, but didn't want to spend a lot on the PB velvet panels, especially around the holidays. I'm so glad I didn't. These are the same quality, are true in color to what is advertised, black out our room very well (I ordered the ivory, so my expectations weren't very high in regard to the blackout feature-I was wrong! ), and hang easily. In fact, they are packaged so well, that there are no wrinkles ; the box is large and the fold lines from being in the packaging are vertical, so barely noticeable at all when hung and open. I have large windows and high, 10' ceilings. The panels are wide enough and the 108" length work well (but do not "pool" at the bottom). I would not hesitate to order these again. These blend in well with the rest of our decor, including our custom window treatments in other rooms. These are great curtains. I hung them straight out of the package and looking at them now, I will probably take them back down to iron them and see if I can smooth out the top for a cleaner finish. But, the fabric is a good, heavy weight and the curtains are lined and well constructed. I would say that the measurement of the width may be a little shorter than described (they are not a full 50 inches wide). 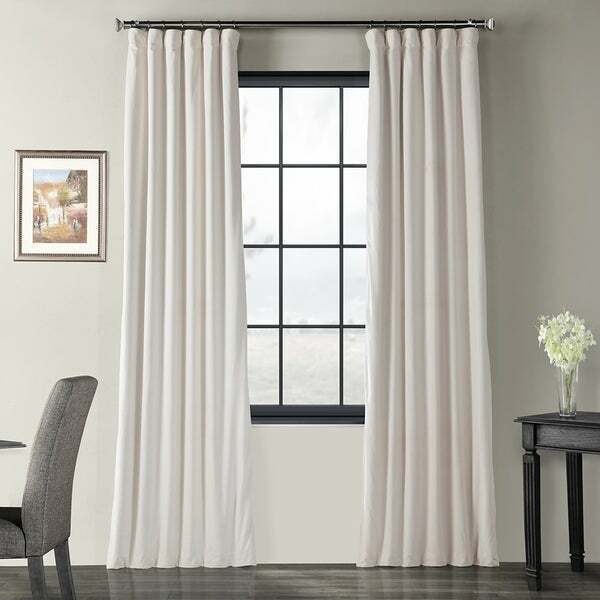 But the length is right and when it comes to getting a good curtain/drape that comes in an extra long length, this is a great option for a great price. They're fantastic drapes and they look so elegant and luxurious in my guest room. They also really do a great job as blackout curtains as well. I may get more for the rest of my place. I got them quickly and everything about them is great. These curtains are perfect for my daighter's nursery and will grow with her. The velvet material is great for sound and room darkening. It also makes the room feel warm and luxurious. The color is exactly as pictured. We have them on a 1.25 inch curtain rod though I would suggest 1 inch if you plan on opening and closing them often, as I do. I'm surprised at the high quality of these curtains. They are a beautiful velvet fabric, and are lined with a dense satin fabric. The hanging design includes traditional pleat pins or pole pocket. They are perfectly long, look fabulous, and would have cost much more at the mall. Can't say enough good things-- they have a heavy weight, lined, feel very expensive. So soft to the touch I want to wrap up in them, seriously! Why didn't we do this sooner??? Four years with blinds, our master bedroom felt cold and uninviting. Now there's this muffled insulated feeling, like when it snows and it's all pretty and calm out. Seriously, they transformed the room. We ordered extra long to pile on the floor, I love that look but personal preference of course. They open up well and don't block our wooded view out the window. For black out, it's decent. Light still comes around the sides and top, which would happen with any curtain. They block out way more morning sun than our closed blinds did (well, now the blinds are closed too). So cozy, so beautiful. The ivory is a creamy vanilla color, goes great with nearly anything. If you're on the fence, go for it, you won't be disappointed! color is accurate to photos. These are lovely curtains. They are lined which not only gives them insulating/room darkening quality but also helps them drape nicely. I will buy more in future for other rooms . I read ALL the reviews on this item before making my purchase and that's what I based my decision off of. I agree with all those who have said this curtain panel is just as described. It hangs beautifully. I LOVE everything about it. It was packaged very well in a large box so the curtain was not bunched up into a tight small package. I have a very narrow window and just ordered one panel that I have pulled to the side. 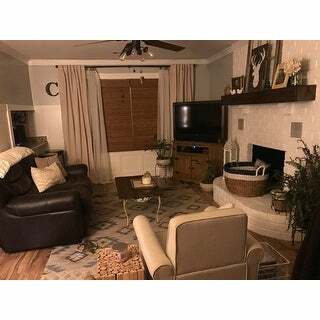 Love everything about it and will be purchasing more for other rooms in my home. I couldn't be happier with my new curtains! The material is soft and very high quality. I ordered the longer panels and hung them so they "puddle" on the floor. They lay beautifully and several of my guests have commented on how beautiful they are! They really made a dramatic change to the overall look/feel of the room. Definitely worth the money! The color was true to the image on Overstock. I ordered two panels and they matched perfectly...seems like an odd comment but I have purchased curtains in the past and been extremely disappointed to find that one panel was a little longer than the other. They also do a great job of keeping out the light. I wasn't sure ivory blackout curtains would be very effective and I am happy to say they are! These signature velvet draperies were not as described or as pictured. They actually are a yellow beige. The fabric looks and feels like cotton flannel rather than velvet. I returned them. Great quality and look so much more expensive than they were. The color is a little more "tan" than ivory to me. 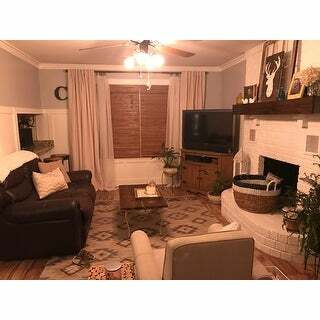 I also bought the same curtains in off white, and that's more of the color I would consider ivory. But the workmanship and look of these can't be beat at this price, and they block the light perfectly. Gorgeous! So heavy and full! If you want that custom look without the price tag-these are perfect!! Bought them for our dinning room to bring some lux to the room and they fit that wonderfully. The fabric is heavy and lays just right for that high end look. Love them so much I will be buying them for the front rooms as well! Don't bother doubling these for wide windows- check other adds for this brand on overstock-they sell an extra wide option as well! Awesome~ Couldn't be happier! These are heavy, quality curtains. They were a bit more than I wanted to spend but I can say that now that I have them I understand why they are priced the way they are. I'm all about finding a bargain but with some things, you get what you pay for. I would buy again. And again. And again. They block light fantastically although that isn't why I purchased them. Beautifully made. I embellished them with a braid to compliment my colors in my bedroom. They also are very room darkening. Beautiful velvet. Great color. They look much more expensive than they were. They cover the entire window when closed and open easily. Great upgrade to my daughter's room! The panel is good quality and like the velvet fabric. I like velvet curtain because looks reach. However returned because the cream color does not much my rug. These are very beautiful velvet curtains! They are even prettier in life! They hang well with no creases. The color is just as pretty as in the picture. I ordered ivory and these are most definitely beige. Not at all what I wanted. I would also have to say that the panels are quite heavy. I had to return them. I bought these for my doing room window and I love them! They flow very nicely and the color is beautiful. Definitely recommend this product! exceptional quality draperies. I was a little afraid to order ivory - sometimes they lean toward a pink color. These are true ivory. Absolutely beautiful. Highly recommend. Color was very different then the picture online. "Can these be hung with drapery hooks on a traverse rod?" Yes, the hooks can be easily inserted into the top of the header and attached to traverse rods. yes , i bought 3 dif batches of these curtains b/c I love them so much and 2 of the 3 times i bought I even got hooks included with them . "Can you return these drapes?" "Do these match the extra wide drapes in the same color. Are the colors the same?" There may be a slight color variation due to varying dye lots. 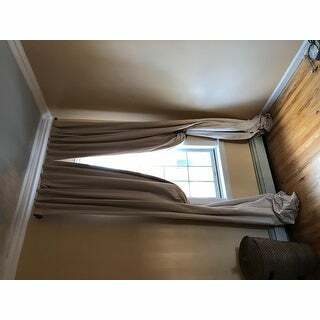 "I am looking for a pair of drapes/curtains that are pinch-pleats and measures 144 x 72/63.........in off-white color. Can you help me?" The pleated panels are only offered in 25-inch widths. "Does this product have significant sound deadening properties?" These panels have not been rated on sound proofing properties. 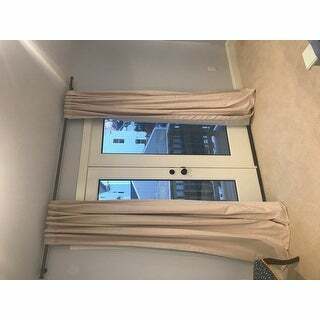 "Please, can you recommend a matching sheer to go with these Ivory curtain panels? Going for a formal look. Thanking you." "How wide is eavh panel?" Each panel is 50 inches wide.